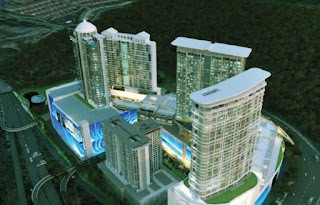 Paragon @ KL Northgate is a mixed development property project by KL Northgate located along Jalan Kuching in Selayang. Paragon @ KL Northgate, a regional shopping mall in the making with over 1.6 million sq.ft. net lettable space along Jalan Kuching within Klang Valley. With 18 anchors and mini anchors participation. With strong international and regional fashion brands presence. Fast food and casual dining to fill your appetite. Superb leisuretainment concept awaits the shoppers. Will be unveiling to you soon. The first phase of Paragon @ KL Northgate will be the Paragon Boulevard which consists of shops / offices.